I invite you into my passion to change the faith landscape of our homes. Join in! Let’s stop the bleeding that is draining faith from our families and leading our children further away from God. Faith Feedings is a unique and innovative way to capture your child’s conscience for faith in God. Faith Feedings is a faith parenting manual that will teach you how to bring God “into the moment” in your family life. Faith Feedings takes square aim at capturing the hearts and minds of the church’s youth by presenting mothers with a clearly articulated and inspiring call to nurture their children in the fear and admonition of the Lord. 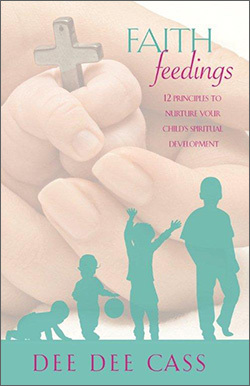 Faith Feedings: 12 Principles to Nurture Your Child’s Spiritual Development will be available June 18, 2015 for purchase. Stay tuned for details! Do you Scripture Code? Your answer to this question will frame your life as you face the challenges, decisions, and temptations before you today. The goal of The Scripture Code is to erase the words, “I can’t memorize,” from the vocabulary of God’s people of faith. The outcome of The Scripture Code is growing spiritual intimacy with the Author of the Bible. 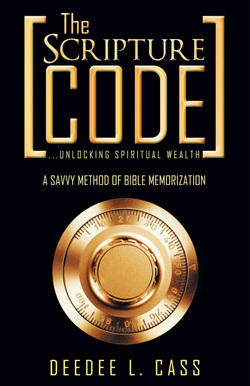 The discipline of The Scripture Code will …Stimulate the mind, enlighten to the truth, access God’s character and will impart wisdom, encourage godliness, establish a sure foundation, accumulate spiritual wealth, teach faith principles, and enable righteous living. Go ahead, say “yes” to the question, “Do you Scripture Code?” The next faith generation is banking on it.